Rs. 200 Registration fee payable on the the door. In this day and age of increased work pressure, fear of job loss and family conflicts stress relief is actively needed. Unresolved stresses and negativity are now known to be responsible for 85% of illness, low self confidence and addictive behaviours causing an imbalance in body, mind and spirit. Help is at hand with a FREE Introduction to Emotional Freedom Techniques conducted by Vitality Living College Ambassador Meetu Sehgal. Meetu Sehgal is a EFT & Matrix Reimprinting Practitioner with Vitality Living College. She has a background in counseling and training and loves to share EFT because it has changed her life in many ways and given her the confidence and enthusiasm to live a more fulfilling life. 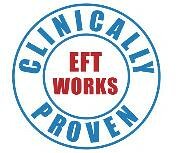 EFT lowers stress, past upsets, cravings, fears, depression and negativity creating health, vitality and confidence. 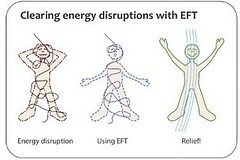 You are invited to attend a FREE stress bust seminar with EFT to get you feeling relaxed, energised and in control. What would your life be like if you felt free from your emotional hooks and woke up in the morning excited and able to handle any situation with a attitude that easily lets go of upsets, unwanted cravings and pain creating a positive outlook, energy and vitality. Do I wake up and feel excited about my day? Am I able to handle stress? Do I appreciate myself and have self-belief? Am I able to let go of past emotional upsets? Can I easily avoid cravings? Do I have positive energy and enthusiasm for life? Can I achieve the goals I set myself? Do I look forward to my future? Can I easily handle anger, sadness, fear, hurt and guilt? Am I able to stand in my power and say yes to life and living? If the answer to any of the above is NO..continue reading...as you can turn them into YES! This is a FREE EVENT. Pay only Rs. 200 as Registration fee at the entrance door. Book on-line for free and secure your seat now.